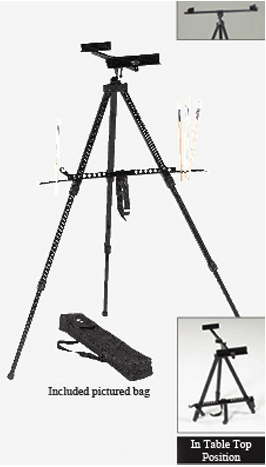 * The Weber Italia easel developed for use by both water color and canvas artists. * It is light weight Aluminum construction, Note the carry case. * Further it can fold down to use on a table. * Accommodates a watercolor Block up to 30 inch and a canvas up to 47 inch. 37" x 6" x 6"